Refuge du Requin 2: Residence Les Hautes de Chavan allows you to ski directly from the door of your apartment onto the piste serving the Prarion Gondola. 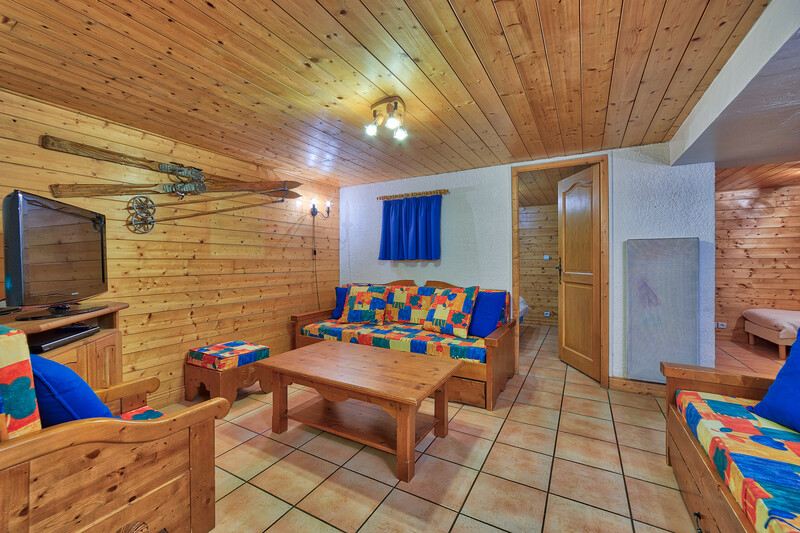 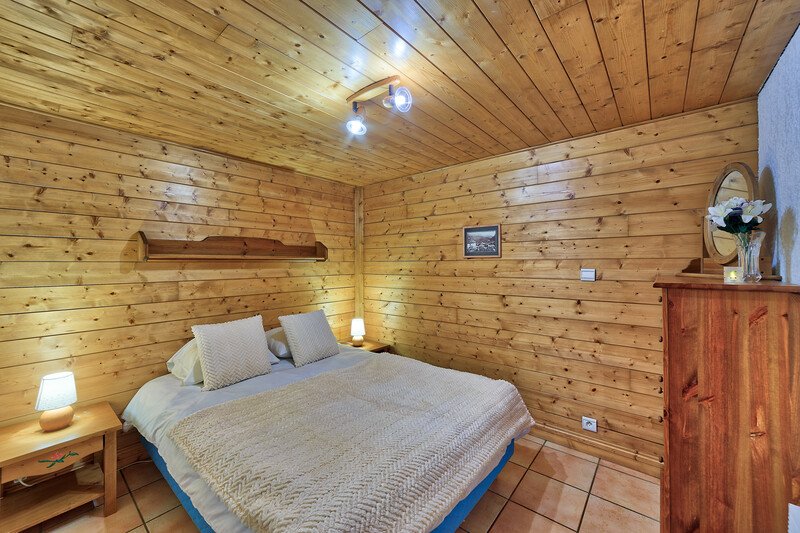 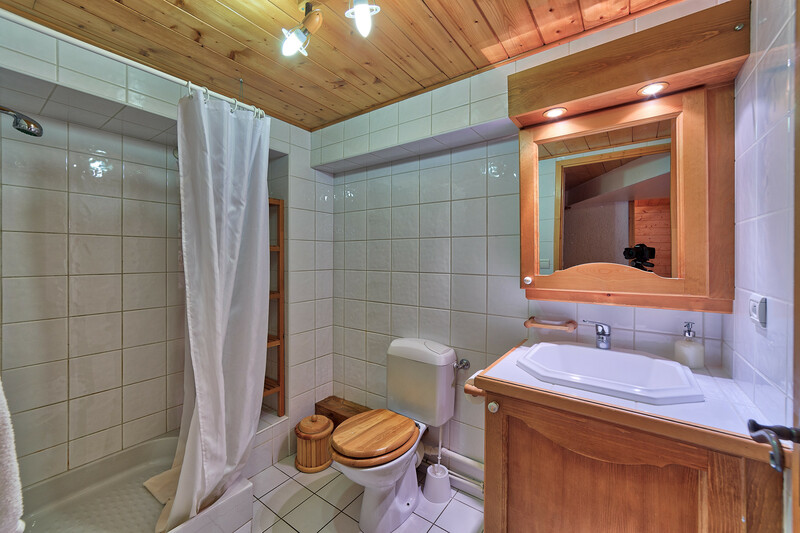 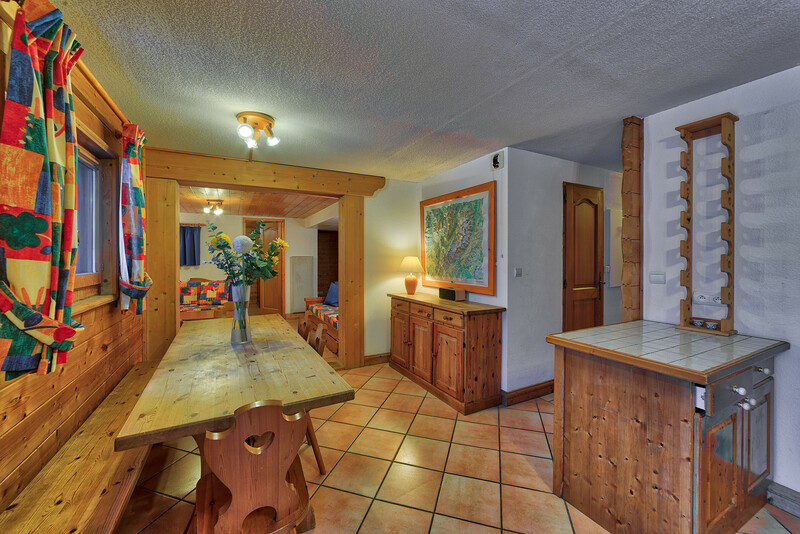 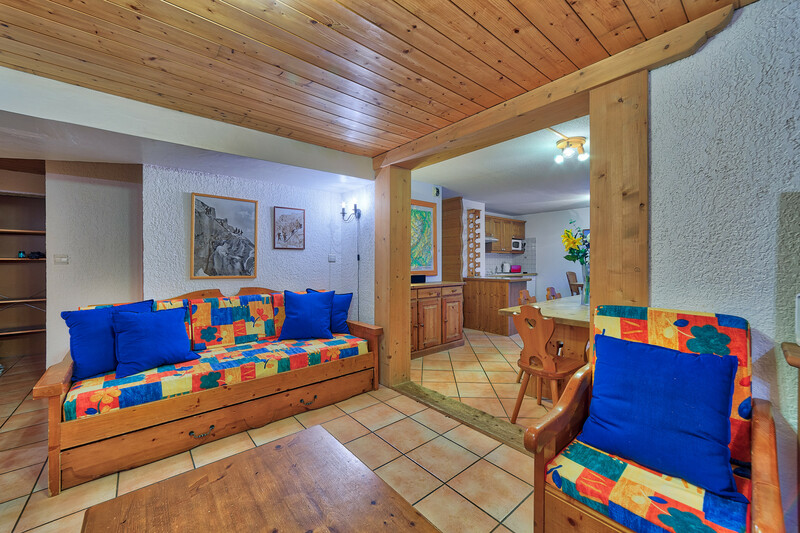 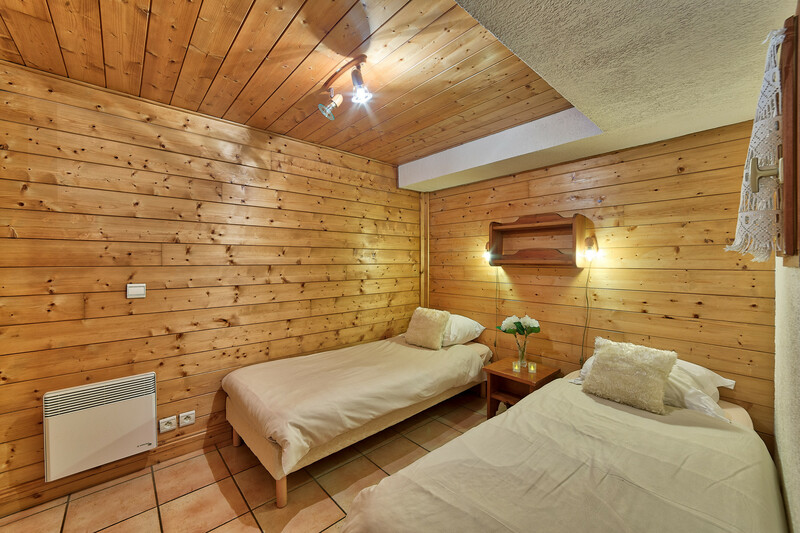 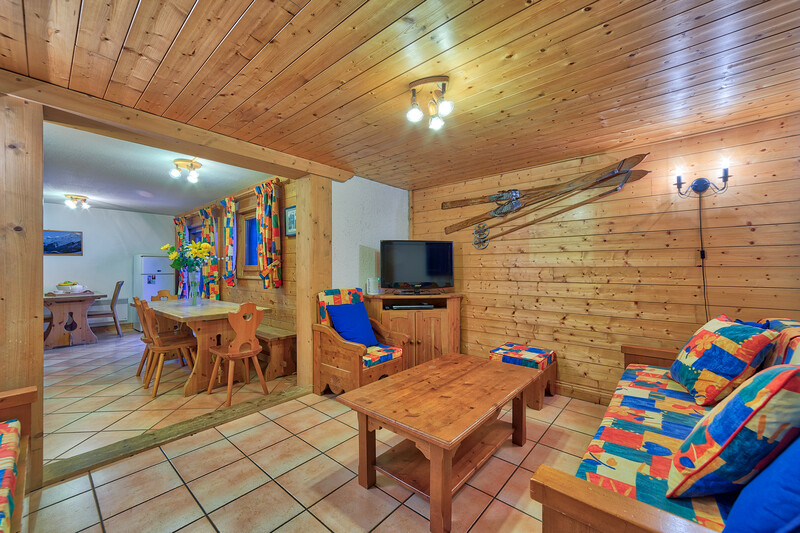 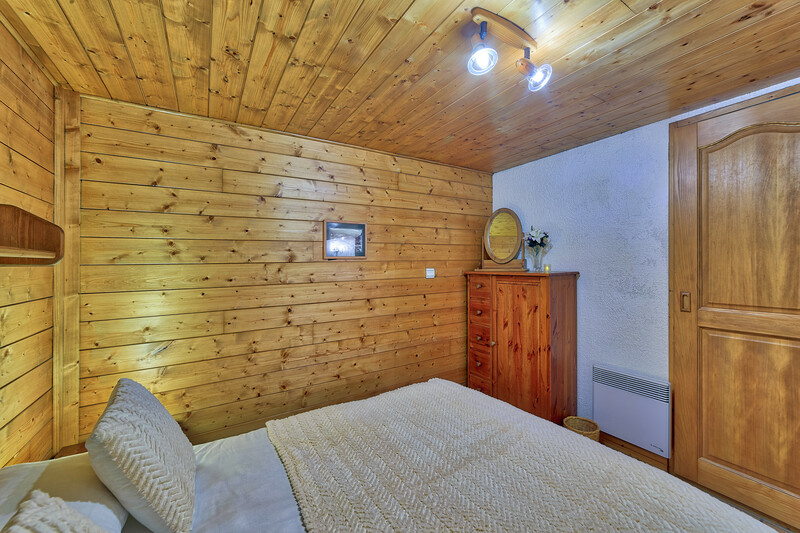 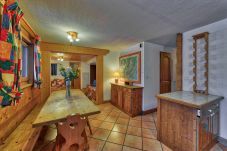 This very spacious, self catered, 4 bedroom apartment is in a cosy alpine style chalet, complete with a traditional wood and stone finish. 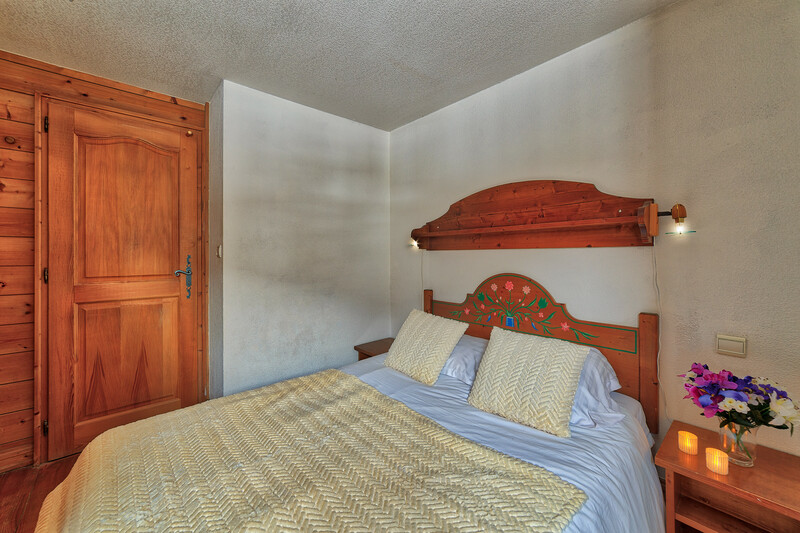 The property consists of 4 bedrooms, sleeping 8 comfortably with extra sleeping space in the communal areas for 4 more guests. 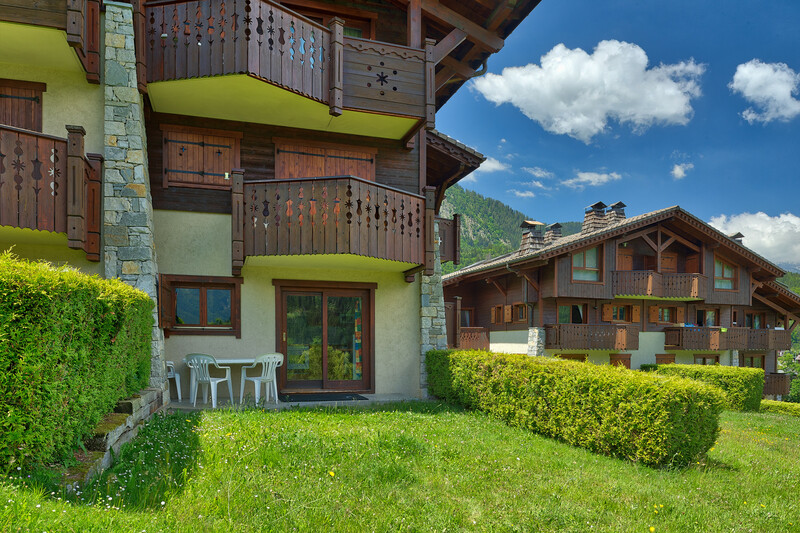 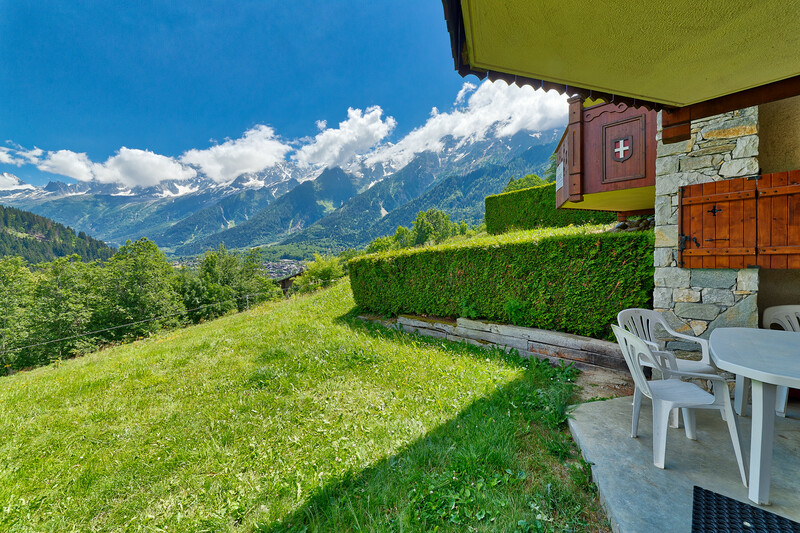 The apartment is located a hundred metres above the gondola station and ESF children's ski school & benefits from stunning panoramic views of the Chamonix Valley, Aiguille du Midi and the Mt Blanc Massif. The apartment is finished to a very high standard, containing a fully equipped kitchen, a large dining area opening onto the lounge (with one double and two single sofa beds), two bathrooms and four bedrooms (two doubles, one twin, one bunk-bed). 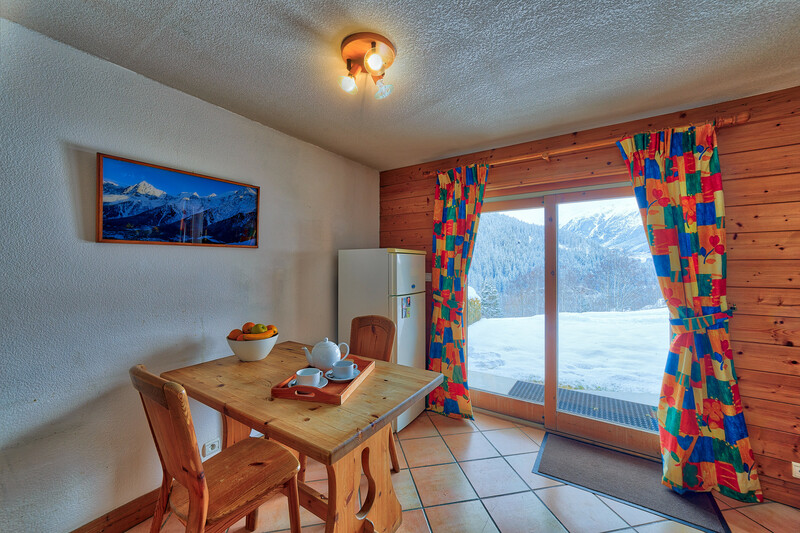 French windows lead onto the small private garden, providing direct access to the piste. 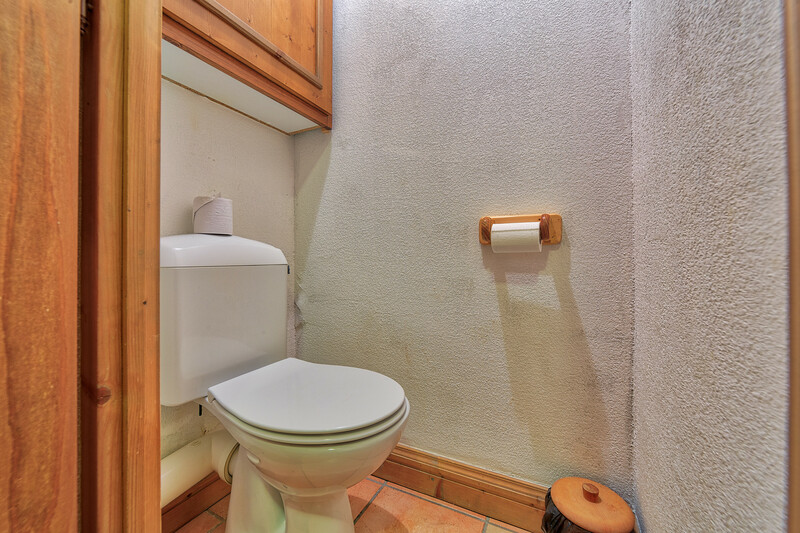 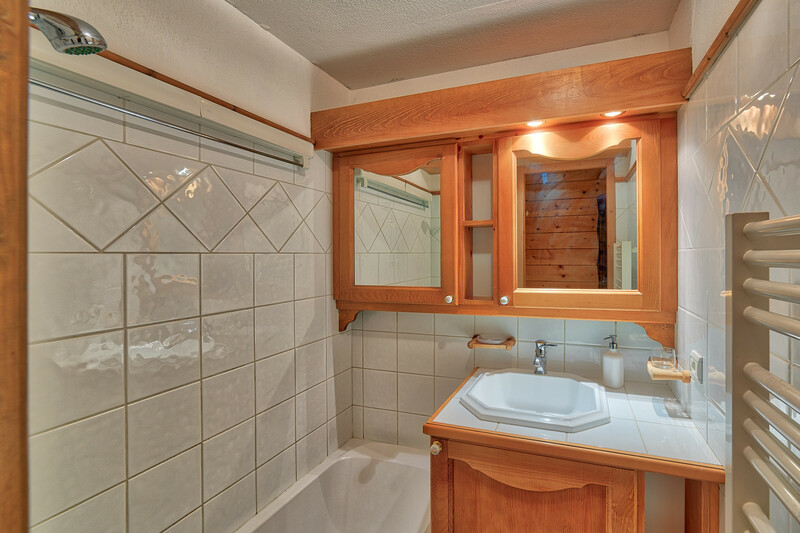 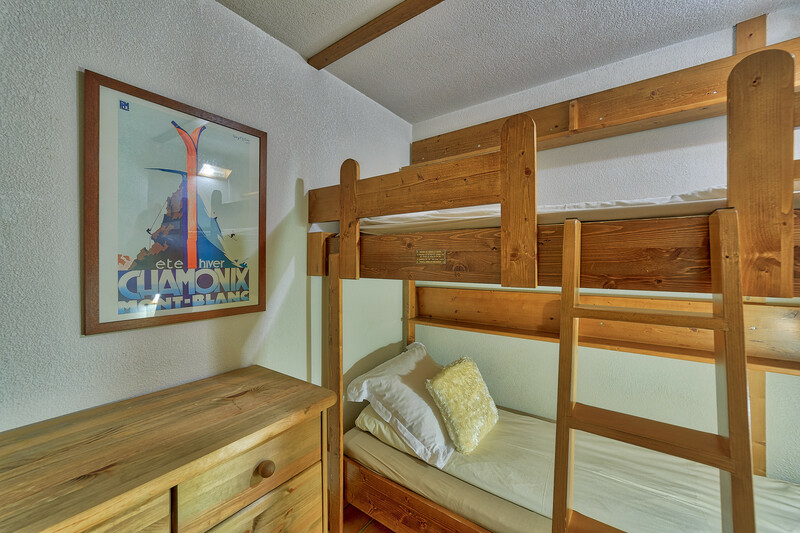 Heating included, pets welcome, ski locker & WiFi access. 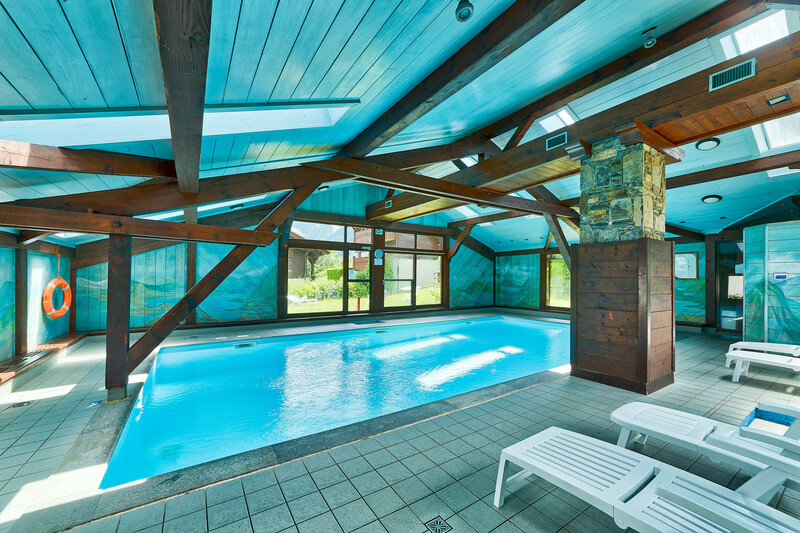 As part of the Residence Haut des Chavants it benefits from use of the shared indoor swimming pool, ideal for family summer or winter holidays! 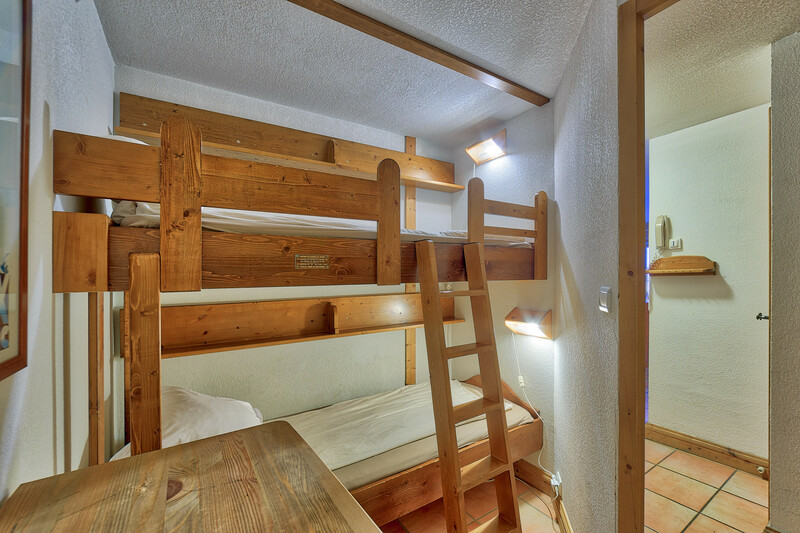 2 Double beds, 2 Single beds, 2 Sofa beds, 1 Bunk bed. 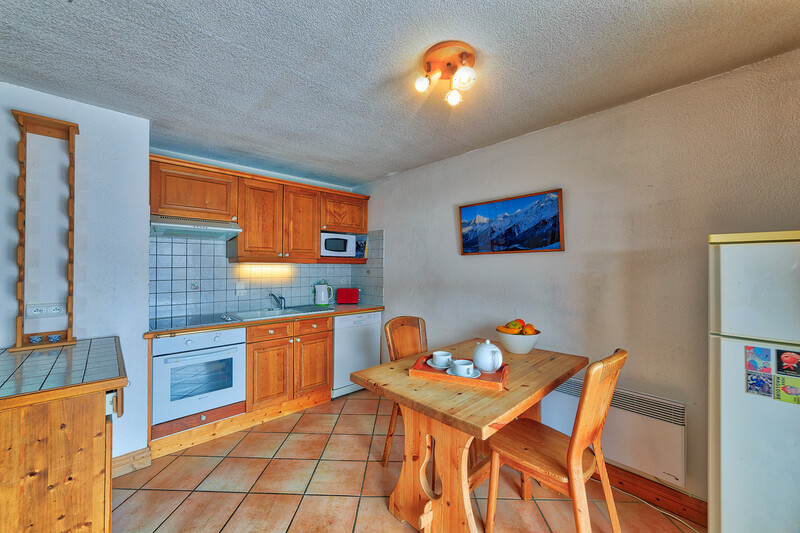 1 TV, DVD, garden, garden furniture, 6 m² terrace, 80 m² property, pet-friendly, electric heating, communal swimming pool, communal heated swimming pool (dimensions 20, opening date 1/1, closing date 31/12), Covered parking (2 places) in the adjoining building. 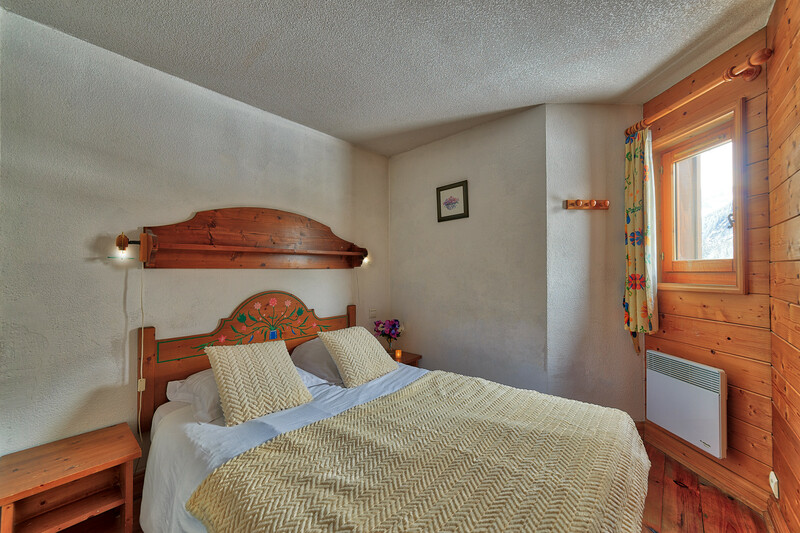 Amount: €1,200.00 /booking.Payment method: credit card hold.To be paid on site.